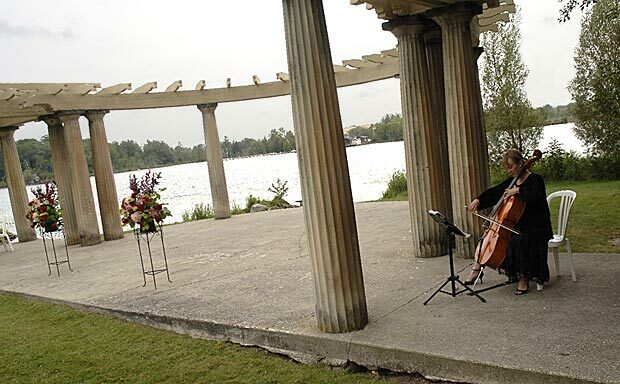 Michelle Kyle has been performing classical and popular music for wedding ceremonies and receptions throughout Ontario for over 20 years, as a solo cellist and pianist, and with her ensembles. For more information about Michelle's wedding music services, please visit Wedding Ceremonies, Music for Receptions, and Booking Information. Michelle completed a Bachelor of Music degree at Wilfrid Laurier University, a Master of Music degree at McGill University, and Licentiate and Fellowship Diplomas from Trinity College of Music, London, England, as well as a law degree at Osgoode Hall. She performs classical and popular music for corporate events, birthday parties, funerals, and other special events. Michelle writes custom music arrangements that enable her ensembles to play clients' special requests. Previously based in Toronto for 20 years, she is now based in the countryside near Monkton, Ontario, in the vicinity of Listowel, Mitchell, Stratford, St. Marys, London, Seaforth, Exeter, Blyth, Clinton, Goderich, Wingham, Elmira, Wellesley, Waterloo, Kitchener, New Hamburg, Guelph, and Cambridge. Michelle and her ensembles perform most often in urban centres including Cambridge, Kitchener, London, and Toronto. Joyful Voices is a new auditioned SATB community choir, created by conductor Todd Kasenberg of Atwood and pianist Michelle Kyle of Monkton for people in or near North Perth, Ontario who love to sing. Visit our website.